Almost all owners of mobile gadgets running Android sooner or later come to the conclusion that the default camera of their smartphone is not the most successful tool for obtaining photos, and go in search of a replacement. We want to help them to choose and save time. The best camera for Android is called Camera MX, and it can take a picture even the most fleeting moment. Yes, on Google Play you can find several cameras that are trying to impress us with the abundance of settings and a professional approach to the process of taking photos. However, is such complexity necessary for mobile photography, which implies speed and convenience? We have big doubts about this. The Camera MX application demonstrates a reasonable compromise between functionality and ease of use. It instantly starts, does not consume a lot of system resources, and allows you to receive wonderful photos even in automatic mode. On the screen of the application, you see the icons of the main settings, which you need to have quick access. All the less popular options are hidden in additional menus. 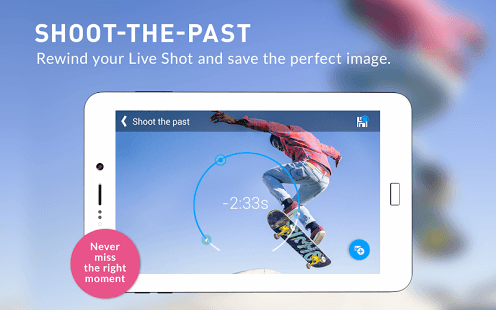 There you can adjust the self-timer, flash, exposure or choose one of the preset scenic modes of shooting. 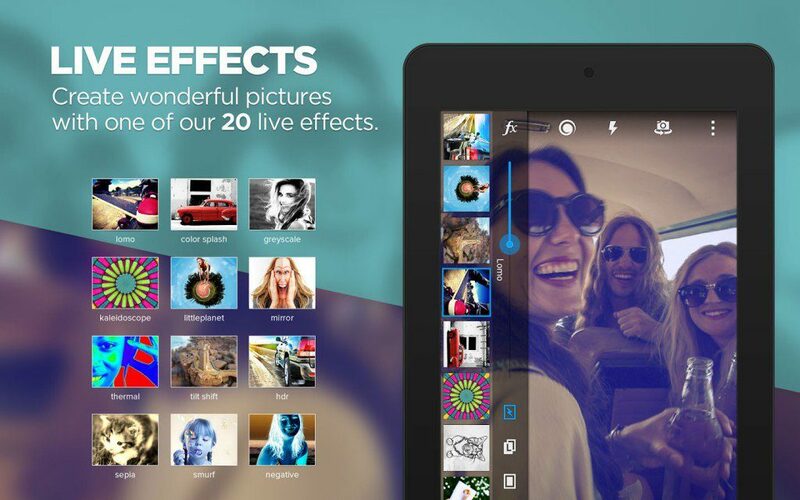 An interesting feature of this camera is real-time superimposed effects, filters, and frames. With their help, you can directly try different “enhancers” during the shooting and get the finished image already processed. But the real highlight of the Camera MX is the Shoot the Past function, which appeared just recently. It allows you to capture a picture not only at the moment of pressing the shutter button, as it happens in the normal shooting but also for a few seconds before and after this moment. Then you are invited to choose from the series of successive shots the best and save it. Such a function will undoubtedly be useful for shooting animals, children, sports competitions, and in other cases when it is so difficult to catch the right moment for a successful shot. In addition, the program has a built-in gallery and a full-fledged graphics editor. 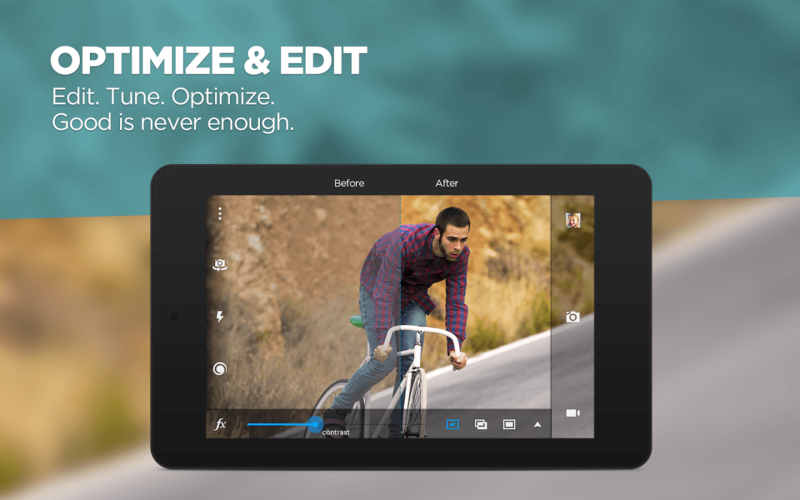 With it, you can perform basic operations for correcting and improving images, including changing brightness, contrast, color, adjusting white color and temperature, correcting the buried horizon, rotate and crop the image. Pay attention also to the possibility of saving a chain of several operations for their subsequent application to any photo. 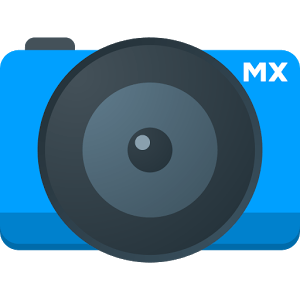 Camera MX is a wonderful application for smartphones running Android, which is worthy of becoming the main camera of your device. With its help, you can get beautiful photos that will make every moment of your life bright and memorable. The application is completely free and does not contain advertising. Check also 17 Free movie apps for Android.